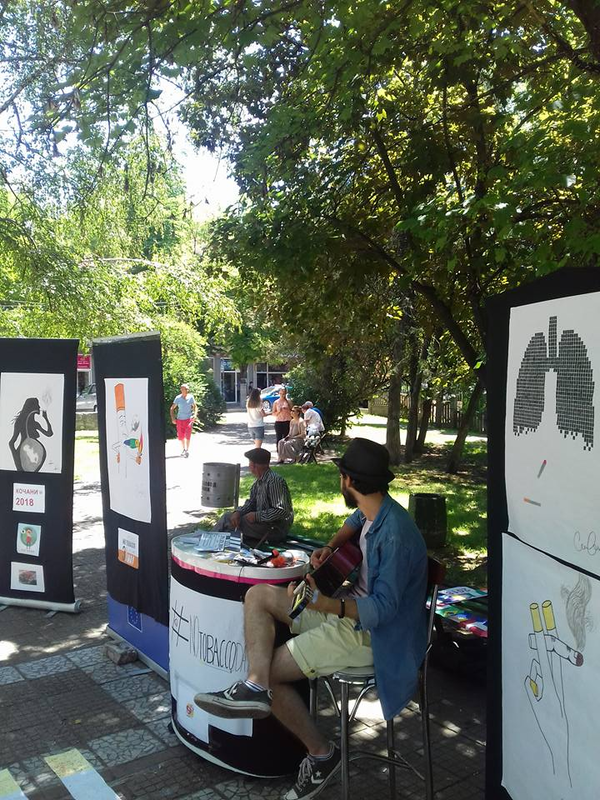 For world NO TOBACCO day our volunteers prepared some meaningful pictures to exhibit by using the ability of drawing of some volunteers and also some magnets that have ‘no tobacco’ motto on the covering. 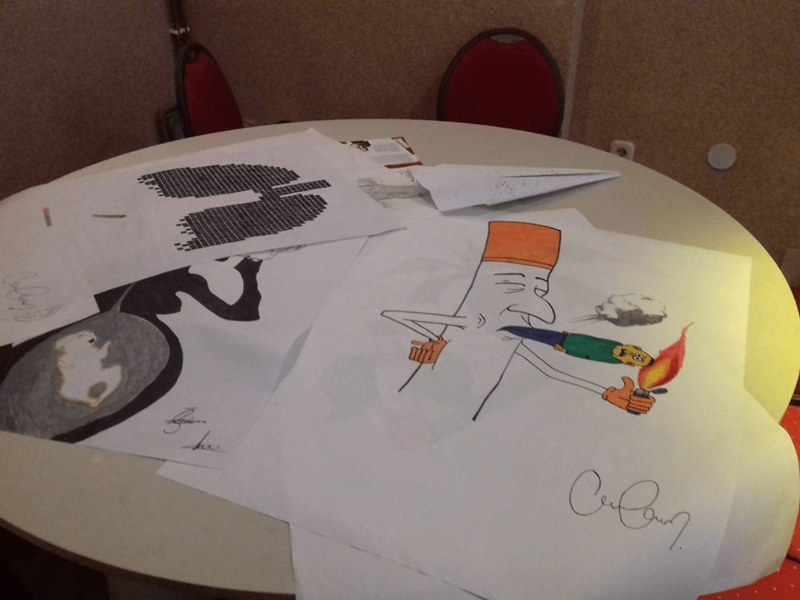 Furthermore, we put some notes on the papers that were shaped like cigarette and those notes were about the negative effect of tobacco and some of them were with some photos inside. On 31st of May, we made exhibition to the local people with the things that we’ve prepared for about three weeks. 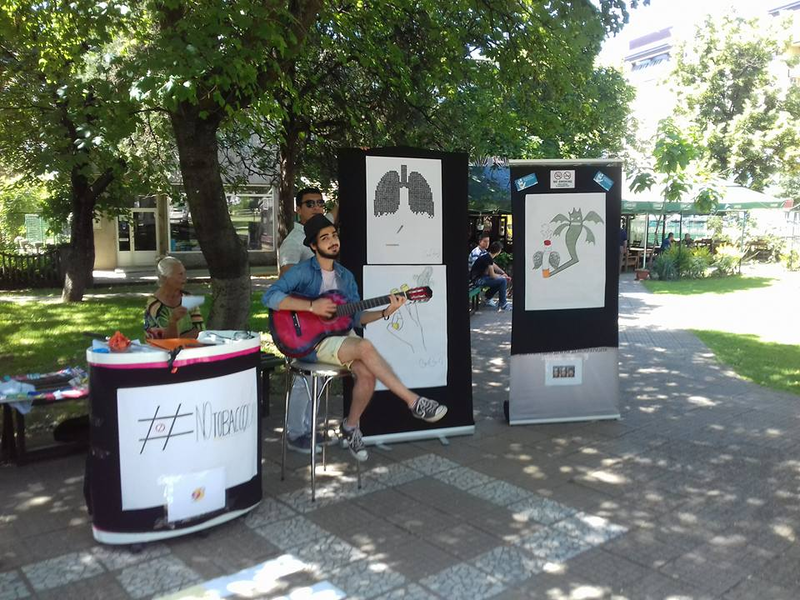 While we were distributing the notes some of our volunteers gave a small concert in our exhibition area to attract more attention and to have more fun when doing the event. 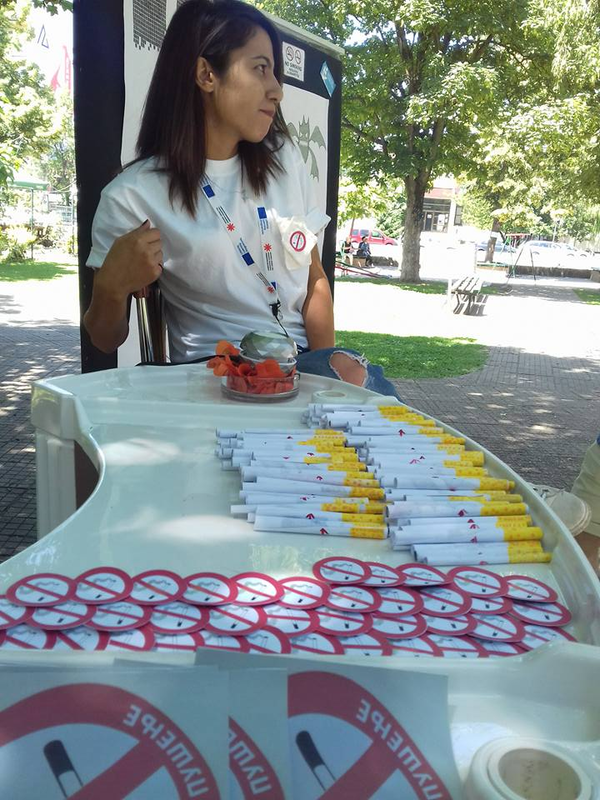 In this event some of our volunteers and mentor of the organization gave a speech to the local television channel and informed people about the possible harms of using tobacco. 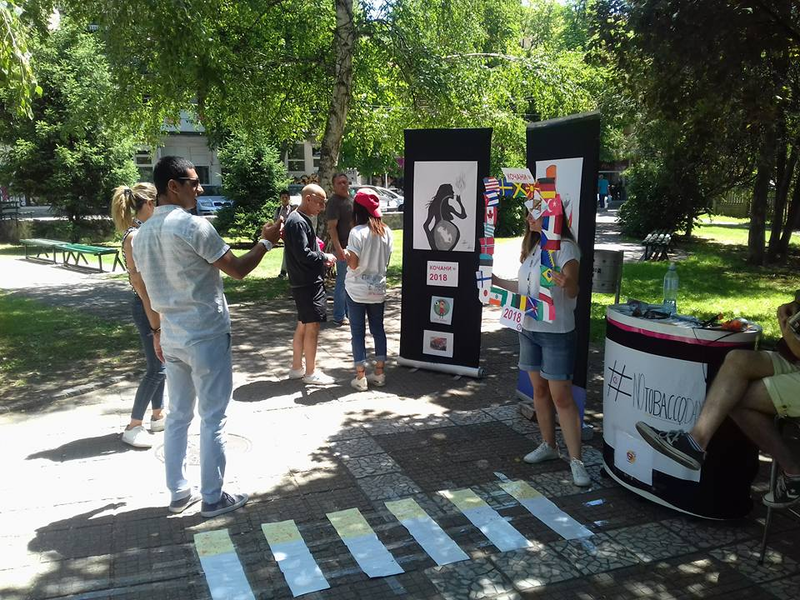 It was one of the significant events that we realized outside because we know that tobacco and tobacco products are consumed at a very high rate in Macedonia. As the other activities that we’ve realized outside, this event also provided interaction between our volunteers and local people.